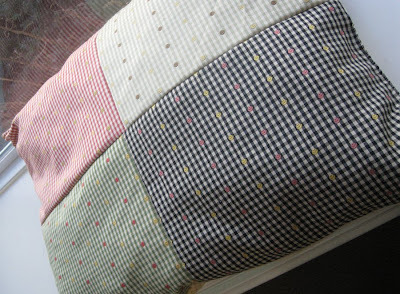 I have had requests from people who want to know how the pet beds are made and if they are really made entirely from our scraps. Here you go, step by step. . . 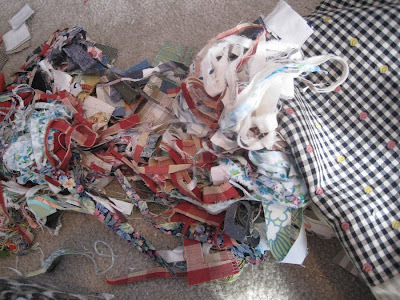 I know when the scrap can next to my sewing table looks like this, it is time to make a pet bed. 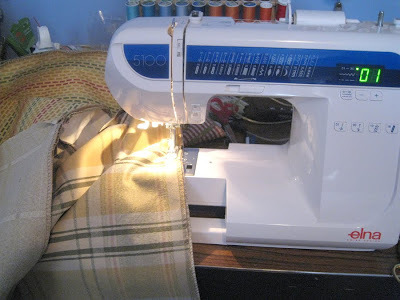 . .
First, I take fabric that is too thick to go through the sergers for bags and sew it together in a rectangle or square, depending on the size of the fabric. 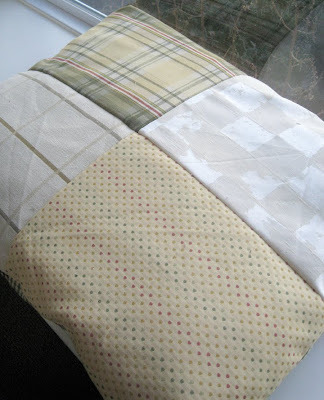 For this example, I stitched together 8 thick fabric samples to make the bed. 4 for each side. . . It looks like this. 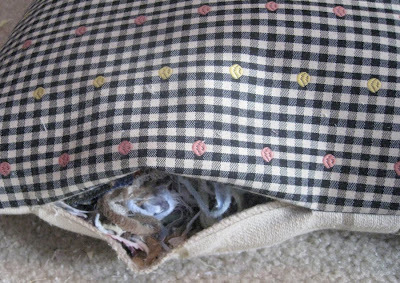 Remember to leave a hole about 6-7 inches in length open on one side of the bed to do the stuffing. Turn the bed right side out. . . It will look like this, this hole was about 7 inches. 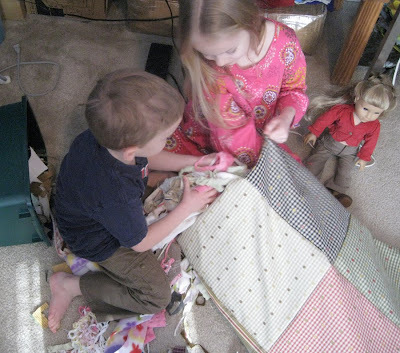 . .
Then, you start stuffing fabric scraps and thread clippings into the bed. . . Kids love to do this. 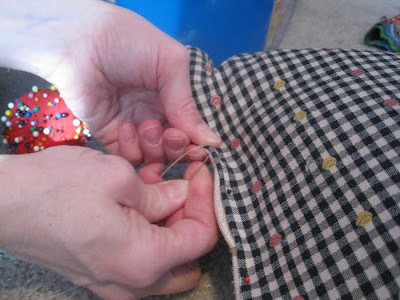 . .
After you are finished, you can machine or hand sew the hole. 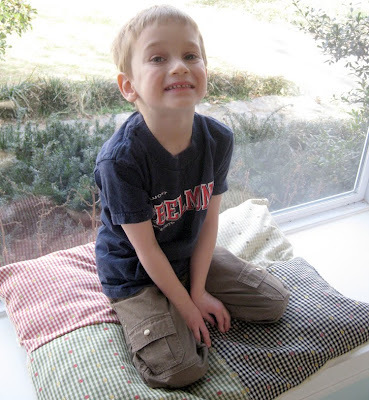 Depending on the size of the bed, it might be difficult to machine sew, we usually sew them by hand. . . 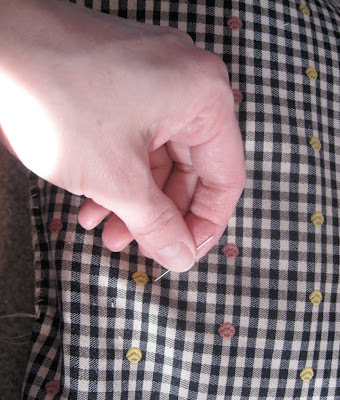 This is what you need, a strong needle, pins and button and carpet thread. I keep black, brown, cream and tan on hand. . .
Pin the hole together. 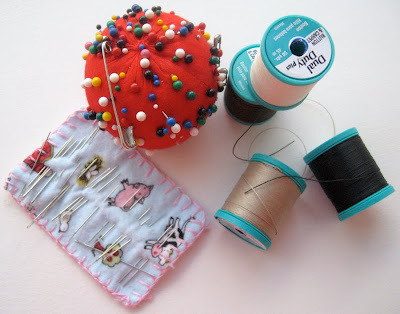 . .
Start stitching, I double the thread so it is really strong. . . 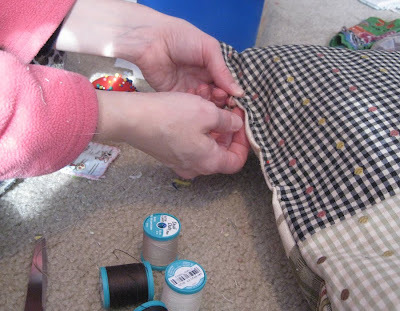 When you are finished and have tied a knot, push the needle back through the seem to a spot about 3 inches into the bag, pull the needle out and cut the thread. 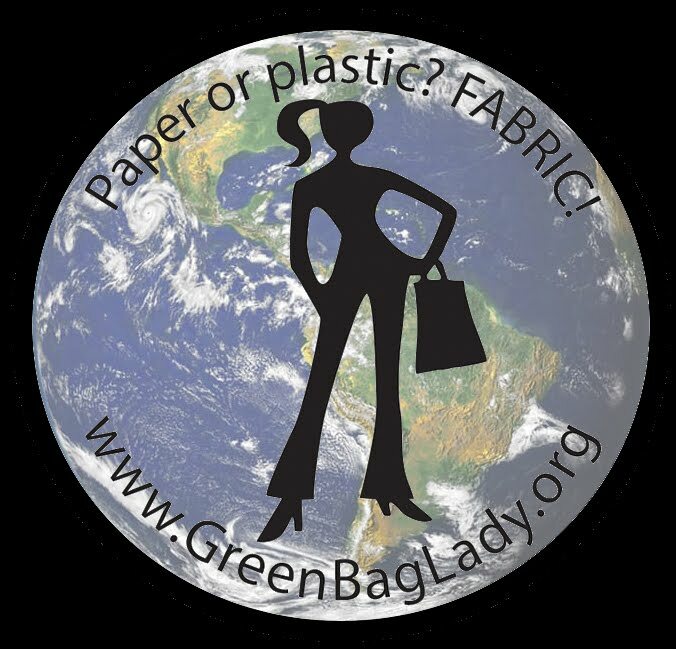 This will assure that the end of your thread is INSIDE the bag. . .
Yay! All finished, one side. . .
And the other. . . It is even comfy for little boys. . .
Let me know if you make some! I would love to hear about it. 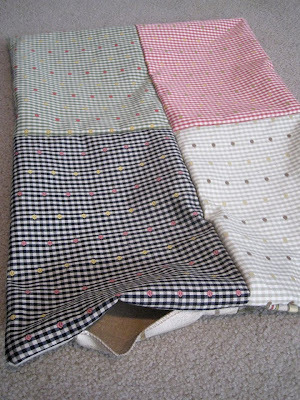 You can read more about what happens to the pet beds we make here. We enjoy donating these beds for sick or abandoned animals. 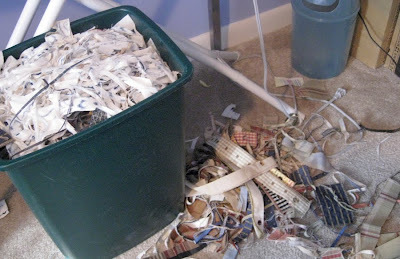 Great idea for scraps! I'm going to have to start working on this for my doggies. 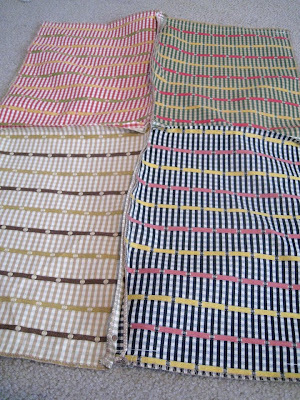 I'm working on one now, I bought a pillow sham at the local thrift shop, and stuffing it with fabric scraps. It will be a dog bed for our dog at our camper. I am really glad to read your blog article, Its is really very impressive your blog and your worked. after read your blog we can do easily make our pet bad. so thanks for sharing nice tips. Wonderful! going to try this when my box is all full! Great idea! I love this idea. Another idea for "stuffing" is old, clean socks. About twice a year I have enough to make a new pet bed. Thanks Laura for the comment, yup many a clean holey sock has found its way into a pet bed at my house too! Little kids will be happy to play on this mat. And it is important for moms - safely! This would be a good idea for kids too!